The ten-day long climate change summit COP24 started on high hopes in Katowice, Poland and worked towards reaching concrete solutions. But, environmentalists say this is not enough. 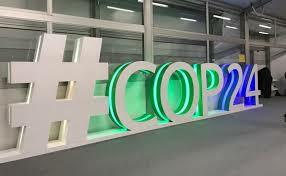 After Paris Agreement 2015, world leaders and stakeholders gathered at the biggest climate change convention- COP24 (Conference of Parties) in Poland’s Katowice from December 3 to 14. From the very beginning, the chance of saving the earth was riddled with multiple policy inadequacies. Many developed countries were reluctant to give up on their fossil fuels, which serve as a major source of employment. Many developing countries felt the regulations were not strict enough for the richer nations. At the end of all the closed-door negotiations, less developed nations were asking wealthier nation to meet their targeted USD 100 billion Green Climate Fund and for lesser restrictive economic terms. What’s stopping people from reaching a common ground? The host country Poland, which is a heavily coal driven economy, gave mixed signals from the beginning. Delegates were greeted with a shrine of coal at the conference, which many of them saw as an ‘insult’. Polish authority was accused of directly and indirectly barring the officials from developing nations, civic society members, and activists into attending the conference. All the stakeholders at the conference seemed too eagerly finish the rule book for implementing Paris Agreement, but a wide conflict erupted among them on form, modalities, and procedures of the agenda items. Because of all these, the momentum determined by COP President Michal Kurtyka was hampered. The negotiating bodies: Ad HOC working group on the Paris Agreement (APA), Subsidiary Body for Scientific and Technological Advice (SABSTA), and Subsidiary Body for Implementation (SBI) are recognised at the end of the conference the fact that “lots of work needs to be done”. The draft created by them also hints the same. The executive director of Greenpeace International, Jenifer Morgan echoed the same saying that some of the current draft’s provisions don’t go far enough. When Media India Group spoke to Vinitaa Apte, the founder-director of TERRE Policy Center on the end result of COP24 and she pointed out the financial deficiency that will be a deterrent to implement regulations. “Climate change summits always start on high expectation ground, but the course of discussion always veers towards something else. We, as a civil society expected to see a substantial outcome, but the conclusions are evasive,” she remarked. Will it achieve its clean energy target when its banks are investing in coal?